Minecraft is a fun game. It allows you to be as creative as you can imagine and it allows kids and adults both to enjoy a world that is almost limitless. Those limits have been reduced even more now with a new Boxel mod from Verizon. 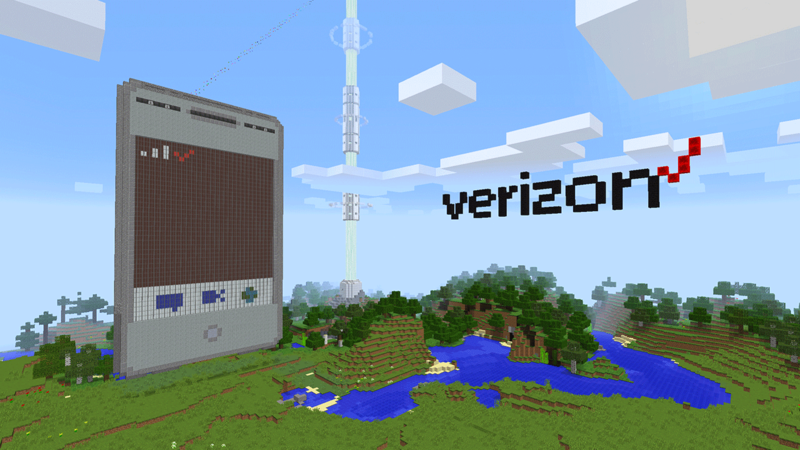 This new mod allows you to build a working cellphone that can connect with your mobile devices in real life and allow you to make and receive calls between the devices and Minecraft. And as if that wasn’t cool enough it also allows you to browse the web on the cellphone. In order for the cellphone to work in the game you have to plant a Verizon cell tower nearby to provide coverage. The cellphone is unfortunately made in the image of an iPhone and is about the size of two skyscrapers standing on top of each other. The Verizon tower is about twice that size! Due to the fact that Minecraft consists of a bunch of large blocks any video calls or web browsing you do are at a very, very low quality. I’m planning on downloading the mod and setting this up at home to show off to my son. I’m looking forward to his reaction! Check out the cellphone in action in either of the two videos below.